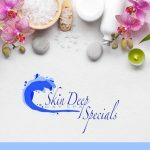 Skin Deep Day Spa’s treatments are inspired by our desire to help you feel your best. We partner with high-quality skin care companies such as Dermalogica, Ling New York, and Jan Marini. All of our services are customized to meet the specific needs and preferences of each client. All of our highly certified staff have their own unique style and each service you receive will be special. For combined treatments and packages, view our spa experiences. Refresh your skin with this purifying facial that gently exfoliates and drenches the skin with hydration for a perfect supple, glowing result. Enjoy a relaxing massage on the upper body, hands, and feet. Imperial Chinese Jade Rollers are used to massage and infuse a custom blended Ginseng Herbal Moisturizing Masque to instantly soothe and calm the skin. The collagen masque is added to help firm and tighten your skin. This highly effective and customized facial is designed for your particular skin care needs. Our experienced estheticians will consult with you and evaluate your skin type to determine the best treatment to suit your specific needs. This complete facial includes cleansing, exfoliation, extractions, masque and upper body massage. Your skin will feel perfectly balanced and hydrated. Revive your skin with this facial that utilizes gentle yet highly effective customized peels and masque designed to defend skin against the signs of aging including premature fine lines, wrinkles, and sagging facial contour. Relax with an upper body, hand and foot massage. State-of-the-art ingredients are used to prevent the degeneration of the skin. The use of ultrasonic technology infuses powerful serums, increasing production of youthful cells and facial contour becomes firmer. Transform your skin with this unique facial experience that delivers the award-winning Sparkling Makeover O2 Masque, which utilizes carboxy technology to instantly boost skin radiance! Unwind with an upper body; hand and foot massage to help you relax. Designed for dull, dehydrated and aging skin, the result is an instantly brighter and more youthful complexion. The deep infusion of oxygen and customized serum with ultrasonic technology will revive and plump the skin for an instant lift! An advanced facial designed to detoxify and clear acne prone skin. This intensive facial will rid the skin of trapped impurities, black heads, white heads and clogged pores. After pores are cleaned, our renowned Oxygen Plasma and the use of high frequency will deliver highly concentrated amounts of oxygen to help eliminate acne bacteria. 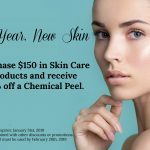 This mild peel is excellent for reducing the signs of aging, helps to fight acne, exfoliates razor bumps, increases cell turnover and brightens skin tone. This treatment uses a diamond-tipped wand to slough off the top layer of the skin which helps to stimulate new skin growth and increase collagen, leaving the younger looking skin. This type of skin rejuvenation is used to treat discoloration, sun damage, acne, enlarged pores, fine lines, superficial scars, and wrinkles. Discontinue all retinol products 7-10 days prior to treatment. Microdermabrasion for Face, Neck, and Décolleté – Includes a calming masque and massage, leaving your complexion feeling fresh and rejuvenated. Only Hydrafacial uses patented technology combined with nourishing ingredients to create an instantly gratifying glow. During this fast, painless treatment, dead skin is removed from the epidermis, as well as vellus hair (peach fuzz). Benefits include reducing the appearance of acne scarring, hyperpigmentation, fine lines, and wrinkles. Also, allows for optimal product penetration. Dermaplaning may be done as a stand alone treatment or to enhance another facial treatment. Must discontinue all retinol products 7-10 days prior to treatment. Our Celluma LED Treatment offers a UV-free, low level, non-invasive light therapy for aging and acne. LED Light Therapy, also known as light emitting diodes, transmit specific light frequencies which are used to produce either red light or blue light. Each light is targeted to a specific skin condition and accomplishes different tasks. We suggest a series of these treatments for the best result. Chemical peels work by exfoliating the outer, damaged layers of the skin. This process promotes cellular growth and your skin will appear smoother and fresher looking. One of the most effective and least invasive ways to improve the appearance and texture of your skin. Reverse aging, wrinkles, fine lines, sun damage, acne, scarring, and pore size. Improve skin tone and radiance with our customized Glytone Enerpeels. Our Esthetician will consult with you and determine the best course of treatment based on your concerns. Discontinue all retinol products at least 7-10 days before microdermabrasion, chemical peels or derma-planing. Discontinue all retinol products at least 2 days before HydraFacial. Your skin cannot be sunburned at the time of your service. You cannot receive a microdermabrasion, HydraFacial, chemical peel or derma-planing if you are pregnant or if you have a cold sore break out. *All Series Expire 1 year from date of purchase. Non-refundable and Non-transferable. 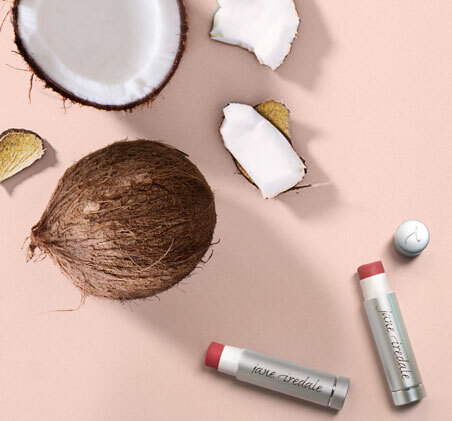 From multitasking natural mineral makeup to healthy skin care formulas, we create clean beauty products that are as good for the skin as they are beautiful to wear. We use Jane Iredale Mineral Makeup, the makeup line that takes skin care to a whole new level! Special occasions such as black tie events, evenings out, job interview or anytime you need to look your best. We specialize in a soft glamorous look that works for any occasion. Or if you simply want to change up your look and try something new, we can help you discover the new you! Body hair should be 1/4 in length for best results. Discontinue shaving for 2 weeks prior to waxing. Please refrain from tanning 48 hours or more prior to waxing appointment. Our technicians provide a safe and comfortable environment for each client. Discretion is always maintained with proper draping and coverings for your comfort. Finally - waxing does not have to hurt! This is a numbing cream that will assist in relieving some of the discomfort associated with waxing. The cream should be applied as a fairly thick layer 40-45 minutes before waxing to achieve the optimal numbing effect. 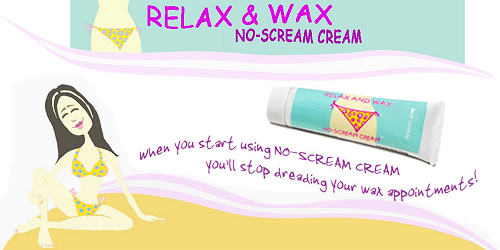 No-Scream Cream can be used on all areas of the body including bikini area, lip, eyebrows, under arms and legs. *Waxing services may have a price increase due to product usage and time. De-stress and unwind during this full body massage with light to medium pressure. Enjoy a sensory experience that incorporates aromatherapy, warm steam towels, scalp massage and a sea salt scrub on the back and feet. This massage will soothe your body and mind, transporting you to a tranquil state of relaxation. Experience relaxation and rejuvenation with a massage designed just for you. Customize the perfect massage with your choice of a variety of massage techniques and stretches. Incorporate aromatherapy, Sombra warm therapy, hot stones and warm steam towels. Do you hold all your tension in these areas? Designed to focus on this specific area of discomfort, resulting in a massage that invokes both balance and rejuvenation. This classic Swedish massage uses light to medium pressure and is uniquely designed to create a sense of calm inner peace and serenity. Our talented therapist will personalize this treatment by using the best techniques for you, removing all stress and completely relaxing your mind, body, and spirit. Massage specifically tailored for the expectant mothers needs using a specially contoured pillow; relieves many of the normal discomforts experienced during pregnancy such as backaches, stiff neck, leg cramps, headaches and edema (or swelling), reduces stress and helps to relax. *Guest must be at least 12-weeks into pregnancy to receive prenatal massage. This distinctive ancient technique focuses on pressure points of the hands and feet to restore the flow of energy and promote an overall sense of well-being. Reflexology improves circulation, reduces pain, soothes tired feet and encourages over all healing. This Deep Tissue massage will target chronic muscle tension by focusing on the deeper layers of muscles and connective tissue. Slower massage strokes and more specific direct deep pressure are applied to affect underlying muscles and structure of the body. Other movements such as; compression, slower motion, deeper pressure, kneading, stretching and a warm therapy agent may be incorporated to assist in joint pain. A Swedish-based therapy combining the best-known therapeutic massage practices to provide an unparalleled relaxation. Rhythmic massage movements are coupled with the use of powerful aromatherapy oils. Have your partner by your side as two of our therapists perform a relaxing massage of your choice. There is a $20 set up fee. Price is based on the massage that is chosen. If you wish to schedule an appointment, please call 517-990-9088. Your body is rejuvenated from head to toe with a dry brush exfoliation and customized body scrub. Dead surface skin that is then whisked away with hot steam towels. We finish with a moisturizer that will leave your skin with a radiant glow. Stimulate circulation while smoothing skin with this body wrap therapy that promotes skin nourishment. This seaweed wrap has kelp for metabolic stimulation and nutrient rich Klamath Blue-green Algae to hydrate and detoxify. Active moisturizers such as aloe, vitamin E and willow bark add to the benefit of this treatment. Customized essential oils provide aroma therapeutic and skin benefits while Caffeine provides all-over toning. Rest in a warming wrap that induces blood circulation all while encouraging absorption of nourishing botanicals. customized body wrap. We combine the exfoliating dry brush, customized body polish, and hydrating body mask. While cocooned in warmth, we perform an aromatherapy facial massage and relaxing scalp ritual. An application of our customized body lotion envelops your skin in soft rejuvenation, leaving your skin glowing. skin-specific corrective masque. Massage of the back and scalp sends you to a place of peace and relaxation. This treatment is designed to leave you with healthy and glowing skin! If you have allergies, sinus pressure and headaches, this is designed just for you! The combination of warm steam towels, cool jade rollers, peppermint, and eucalyptus oil will take you on a sensory journey. We use Acupressure and massage techniques along the forehead, nose, cheeks and scalp to open up the nasal passage ways and relieve sinus headaches. Enhance your massage or facial with one of our blissful additions. Please call (517) 990-9088 to add these to your service as they are not available with our online scheduling. May not be scheduled as a stand-alone service. At this very moment, you’re storing the day’s stress in your scalp! Quickly release tension while infusing the scalp and hair with peppermint and lavender essential oils. This aroma therapeutic and nourishing treatment will help completely rid the body of stress. This hard to reach area is often neglected. Treat yourself to this exfoliating and hydrating experience. Warm steam towels are incorporated to help relax and soothe your skin. Add on to your Facial- Firm, tone and revitalize your tired eyes with our unique blend of vitamin therapies and firming botanicals. Our gentle exfoliation will remove dulling debris, while a super-soothing masque will help reduce irritation. The bamboo massage is a soothing warm therapy that is deep tissue work. This massage helps improve blood circulation with its relaxing gliding strokes. The bamboo targets pain relief and knot relief in its special technique. This blissful addition is only available to schedule with Michael. A great add on to any massage, warm river rocks will penetrate deep within your muscles and melt the stress away, leaving you with a relaxing experience you won’t forget! Exfoliate these overworked areas with a lavender sea salt scrub and hydrate with an emollient rich, lavender cream. The result is smoother, softer skin! A diamond tipped wand is used to slough off damaged skin cells and expose newer, softer skin. Discontinue all retinol products 7-10 days prior to treatment. The dry brushing technique is a form of skin exfoliation that removes dead skin cells on the surface, stimulates blood flow and new skin cell production leaving you with a radiant glow and enhanced detoxification throughout the body. Benefits include smooth, healthy skin, a boosted immune system, and reduced cellulite due to increased blood circulation that helps the skin break down and release toxins. A simple and safe procedure for exfoliating the epidermis and ridding the skin of fine vellus hair, (peach fuzz). It enhances product and procedure results leaving your skin “baby soft”. Discontinue all retinol products 7-10 days prior to treatment. It’s time to give your lower legs and feet the attention they deserve! Cleanse, exfoliate, hydrate and moisturize for healthy and revitalized skin and muscles that are ready to take on the day! Warm steam towel wraps, aromatherapy, and massage is incorporated to relax and rejuvenate your legs and feet.